Tarun Gupta June 14th, 2016 Email Marketing 2 comments. You may have read through several of articles citing various ways of email marketing campaign optimization. The posts contain many tips on how to design beautiful emails. Most of the marketers get the basics right as they personalize the copy, make the call-to-action pop, segment your list, etc. One key aspect that they usually miss is what are the type of emails that they can send out to the recipients. If you too don't have an idea about the different types of emails you can shoot, my article will give you an insight into that. Do read between the lines. They are the kind of emails that marketers shoot frequently to announce new content. The most popular one are when marketers announce next sale, ebook, webinar, coupon, free trial ... and the list goes on. The new content announcement helps email marketing to describe and promote a particular marketing offer using a call-to-action that links to a targeted landing page specially designed for that specific offer. While designing an email for an announcement / offer, focus on the offer you make. Make your email copy brief but descriptive enough to convey the worth of your offer. It should also be ensured that your email's call-to-action (CTA) link used is large, clear, and is in actionable language. A large CTA image/button underneath to make action visible is also advised. You may have product updates you want to share with your audience, but people generally reluctant in receiving such emails. I also found them on uninteresting and irrelevant on several occasions. They're typically not as interesting or engaging as they should be. This is why email marketing should keep the product emails straight and simple. Rather pushing product email updates to the audience, send them new updates or products periodically. This is therefore essential to include a large, clear headline, a brief description, and an image that showcases the product or feature. Companies, regardless of the domain they work in, choose to send monthly or weekly updates to their readers. And as they truly want people to read these email marketing newsletters, they share them to their audience in a visually appealing way. They should be backed by an image paired with a headline, a brief summary or introduction, and a CTA for recipients to click and read more. Email can be a winning investment too for promoting an upcoming event your company is hosting. 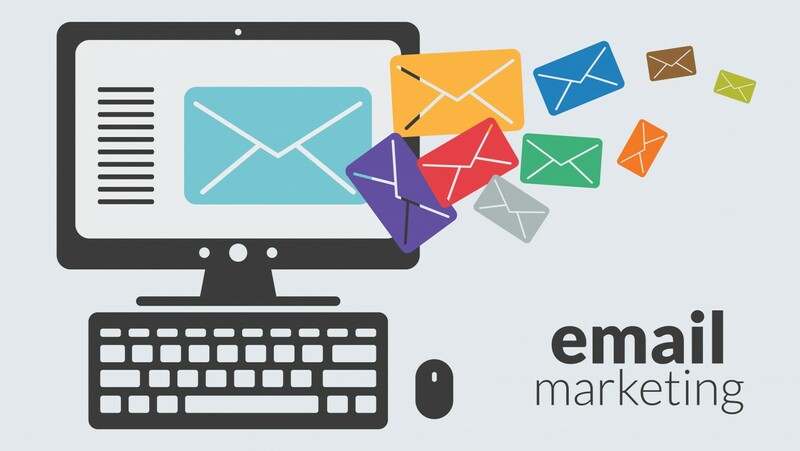 These email marketing campaigns are important as they directly connect your brand to your audience. Inviting people to an event leads to a bond, therefore it's fairly important to showcase why that event is worth their attendance. I am recommending you to use appealing visuals to tell your invitees why that event is going to be awesome. 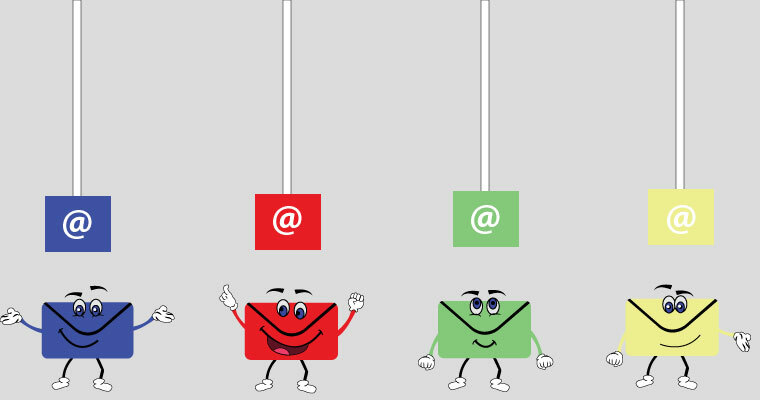 Interestingly, social media updates and events could also be a great email campaign. Imagine you run a social media group on any of the premier social networks. Whether to send make LinkedIn announcement or asking people to participate Google+ event, sending the invite directly to users' email boxes is a good idea indeed. While sending social media campaigns leveraging white space is crucial. Make sure that your paragraphs are short, sentences are brief, and thoughts are clear. I have seen many organizations not only the digital marketing service provider companies but others who have been consistent in sending internal updates or newsletters to their employees to keep them in the know about the latest being happening in the company. Whether its new product updates, marketing offers, or events, keep your employees updated with the most critical information associated with the company. Your clients need to get notification from you about elite deals and different ways they can save cash So Offering coupons and discounts through email can be a compelling apparatus for both client securing and client loyalty. Dedicated emails are so famous because they empower you to utilize a blend of all the best email marketing methods: a strong call to action and an opportunity to be amicable, conceivably provocative and highly shareable.